What's the name of the shrubs you have in front of the trees? scrubs...I understand that the trees are little green giants....but what are the srubs or plants in front of the trees? Your landscape is so simple but beautiful. 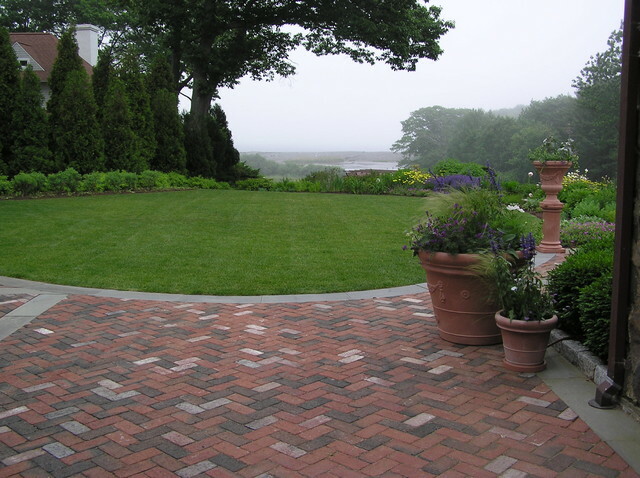 What material are you using to border the bricks? The conical forms are Thuja plicata 'Green Giant'. The tree above is a Northern Red Oak. What type of brick was used? - We are trying to find brick that matches our porch for a patio and this brick, with the blue/gray brick throughout, looks similar! thank you! 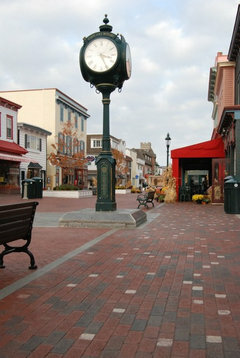 Hi rorebeck - I saw where you asked about these pavers...we have a paver that looks like this - Rumbled Main Street. Corriveau-Routhier carries our products (603)627-3805.